Matthew Morton has had his fair share of adventures before serving as the self-proclaimed “geek” at Chapin Hall at the University of Chicago. He’s taught at Oxford University, been recruited at a holiday party at the White House, and lived in India while working for the World Bank. Now advocating for youth around the world, Matt’s humble beginnings were at a small, liberal arts college in central Florida. As a recent graduate from Stetson University, he helped start the Bonner Program. Matt remembers being supported by former president of Stetson University, Doug E. Lee, and former president of the Bonner Foundation, Wayne Meisel, to build the foundation of what is now the Bonner Scholars Program at Stetson. He recalls investing in the Bonner Developmental Model and serving a full year after graduation to solidify its installation, now running thirteen years strong. Even as a trailblazer for community engagement, there are still some things Matt wishes he had known as a recent graduate working in the civic engagement. This was only the beginning of Dr. Morton’s push for equity in underrepresented populations. After serving Stetson’s Bonner Program and volunteering in Uganda and Guatemala, he devoted time in national advocacy to his true passion, youth homelessness, where he soon learned he did not possess all of the empirical skills he needed to really evaluate programs and policies focused around youth. 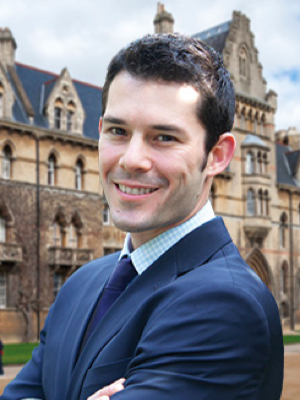 To take his impact to the next level, Matt pursued a Master’s and then doctoral degree in Evidence-Based Social Intervention from the University of Oxford. Subsequently, he taught graduate courses in community analysis, hoping to spread the importance of research in advocacy. From there, Matt’s professional trajectory has been a whirlwind. He’s served a multitude of positions with the World Bank focused on children’s health and women’s empowerment. Now he conducts research with the Voices of Youth Count at Chapin Hall, the most comprehensive study regarding youth homelessness to date. Matt is the main communicator of the data to national organizations and governmental leaders so that they can make the most informed decisions regarding funding and policies centered on alleviating youth homelessness. Even though Matt is communicating with decision-makers across the country weekly, he still dedicates a few hours every day to conduct the research himself and continues to have an intentional and intimate relationship with the communities he serves. Bonner’s values have inspired Matt not only to contribute to making change all around the world, but to also appreciate the power of working closely with his local community, something that Bonner Scholars and Leaders across the country can get behind. Read Matthew's job profile here. Or click here for a downloadable version of this profile.